I love vintage items for so many reasons. Not only is it environmentally-friendly to keep using older items that work perfectly well instead of filling up landfills and generating demand for wasteful products, I also just think they look cool. Mid-century modern aesthetic is just really pretty to me, so when I was thifting at a new shop called Savers during #buffalostaycation2014, I couldn't pass up this beauty. Disclaimer: I'm not claiming this is as energy efficient as modern fans. I really don't know much about the subject. I was moreso referring to clothes and homegoods being good environmental decisions. It was very dirty, but I knew it had potential. After some research online, I found that this fan is a Windsor P-23 from the manufacturer, Lakewood, and it was produced i the late 60's to early 70's. Here's a close up of the inside. It is clearly quite gross. There's a lot of build up around the actual fan, so much so that the blades were not running as fast as they should be able to. My supplies for this adventure included a washcloth, microfiber cloth, screwdriver, and Dr. Bronner's Sal Suds that I diluted and put in a spray bottle. I also used a glass cleaner from Method for the fans and soaked the screws in a little bowl of Sal Suds with water. I unscrewed the front side of the fan and worked on the blades. Luckily, the build up came off fairly easily. In this picture you can see just how much were on the fan blades. Gross! I took off the other side of the fan cover using my screwdriver, and cleaned that side in the same way. Honestly, soaking the screws in soapy water did not do much. I will probably replace these screws with new, shiny ones because the rust and dirt is too built up. It look about an hour, but I was able to clean the inside and outside so that the blue looked much more vibrant. I also had to give the covers a bath to loosen up the dirt. Once that was all clean, the white looked so much brighter. I am very happy with how this turned out, with just a little bit of elbow grease and household cleaning supplies. I probably wouldn't have been able to find a fan that I like as much aesthetically, and as good quality (it's been running for about 45 years old already!) for only $5. City Hall has always been one of my favorite buildings. Art Deco completed in 1931, it's just a beauty. It is one of the few places I have ever envisioned myself getting married, if that day ever comes. City Hall so grand and the detail that architect John Wade put throughout the interior and exterior is just not seen in present-day architecture. It would simply be too expensive today. I have been on two tours of City Hall with out-of-town friends and family, so I really just wanted to view the building, the lobby murals, and the observation deck. The building itself is 32 stories, and the observation deck is on the 27th floor. Before the HSBC tower was built, City Hall was the tallest building in Buffalo. I do not deny my fear of heights, but with the large Plexiglas enclosure, I had a bit more confidence than I would otherwise. Mid-day is the best time to go on the observation deck, to see the bustling people below. It's also closed after business hours, but it is open on the weekends. On our way to Goat Island, a little island in the Niagara River connected by bridge to the Niagara Falls State Park (US), my friend Nicholas told me that he had a special secret place to take me. At his insistence, I will not disclose the actual location of this spot. However, somewhere on Goat Island we were able to make our way to the Niagara River, just FEET away from the drop of the falls where it is eerily calm. 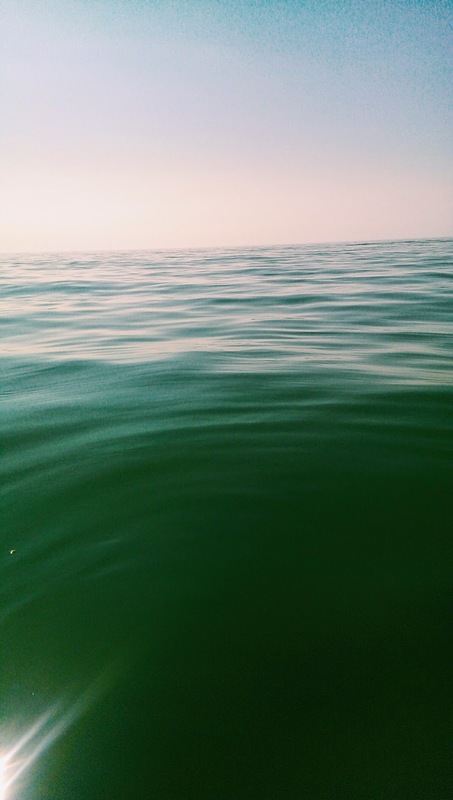 I sat on a large rock, just off the shore and was able to dip my feet in to the water that would soon fall 165 feet! I searched for pretty shells and had a nice, relaxing chat with Nicholas. We continued on to Luna Island, connected to Goat Island by bridge and the views were fantastic. Luna Island separates Bridal Veil Falls and the American Falls, so you have water falls on either side of you. I believe Bridal Veil Falls is where the Cave of the Winds tour takes place. For that, people travel behind the falls and can see the marvelous curtain of water rushing in front of them! Nicholas and I had such a great time, and it was lovely to see a different view of the falls, since I've been there so many times. A lot of people bash the view that the American side has, preferring the Canadian side, but I rather enjoyed the view from Luna Island. It was such an awesome vantage point. Movieland 8 hosts $2 movies on Wednesday and Friday, and discounted movies on the regular. It's a second-run theater and I love it. I don't often see movies right as they come out, and honestly, they are just so damn expensive! There were a few movies I wanted to see, but Nicholas and I decided on Malificent. Malifcient is the un-told story of Sleeping Beauty, and without spoiling anything, I really like how recent Disney movies have focused less on happy endings involving finding true heterosexual love, and more on relationships with family and friends, and making the right decisions. All in all, it was well-made and held my attention. Would I pay $10 to see it? No. One of my absolute favorite hobbies is thrift store shopping. I don't have a lot of expendable cash, and I feel like consumerism is a bit out of hand. I don't see why people wouldn't buy a complete set of dishes at a thrift store that are a fraction of the cost of those at Target or Walmart, or even more expensive places like Macy's and Bed Bath and Beyond. There are certain aesthetics that I just adore, like mid-century modern, and art deco. Whenever possible, I buy vintage. I love the craftsmanship, the details, and hunting for great pieces is a wonderful game. Now that I have a record player, I'm hoping to find some good music. I ended up with a small mid-century alarm clock for my bedroom and a pair of open-toe sandals that have a slight grandma vibe. Unfortunately, on the first wear the shoes lost their soles on the heel, so I have to take them to a repair shop. I know a good one on Hertel Avenue. We went to a more high-end vintage shop with a lot of special pieces in Kenmore, called Josie's Antiques, and a new discount thrift store called Savers on Sheridan Drive. We had loads of fun at each of them, though since Nicholas, Sophia, and I are all on budgets, we only purchased from Savers. I don't always buy when I go thrifting; somethings I just like to look and gain inspiration. I was surprised with how organized and clean Savers was. I also stopped at a friend of a friend's lawn sale and picked up a collection of books with short stories by different authors, divided by country. I finally found a pair of vintage salt and pepper shakers that I adored: small metal apple and pear replicas. And, I brought yet another typewriter home. This is a white one from Sears. I couldn't resist. I think it's safe to stay that I love going on tours. I love learning about the history of objects and places, the story that made today what it is. So, Nicholas and I went a tour of Larkinville, the Hydraulics and the Valley put on by Open Air Auto-bus. The tour guide is an urban planner for the City of Buffalo and it was clear that he is really into restoration and preservation. It was so cool to learn about the major industries in Buffalo and how drastically it has changed. The steel, grain, and airplane industry were such a large part of Buffalo in the early twentieth century. I plan on going on more tours in the future. The Whirlwind Tour focuses more on architecture and is a little longer, so I think that will be my next one. Burchfield Penny Art Gallery opened its Elmwood Avenue incarnation in 2008 and I have been meaning to visit ever since it opened. Located on Buffalo State College's campus, it hosts a large collection of works by Charles E. Burchfield, as well as many western New York artists. It is really great to see local artists being appreciated for their innovations. I know so many talented artists who live or have lived in Buffalo, and I feel very fortunate to be inspired by them. Bike enthusiasts in Buffalo ride the Erie Canalway Trail from Tonawanda to downtown Buffalo and Canalside. Riders can take a detour over the Peace Bridge to Canada's Niagara River Trail. My friend, Derek and I began in the West Side and made our way to Niagara Street, passing through LaSalle Park, Riverside Park, and ending at Canalside. The trail is along the river, and is just beautiful. There is a pedestrian bridge that extends above the highway 190 and offers great views of the river and the Peace Bridge. We did a late day ride, so it was not too hot and we could really appreciate the setting sun. On the way back, we took a detour to view the Fontana Boathouse. Designed in 1905 by Frank Lloyd Wright, it was not actually built until 2007. It was the only boathouse that Wright ever designed, and it is completely functional, housing row boats. There was an event taking place, so we were not able to tour the facilities, but the exterior is beautiful and clearly a FLW design, bringing the outside in, roof extending horizontally, prairie style at its finest. "But, it's hard to stay mad, when there's so much beauty in the world. Sometimes I feel like I'm seeing it all at once, and it's too much, my heart fills up like a balloon and then it flows through me like rain and I can't feel anything but gratitude for every single moment of my stupid little life." This past winter was harsh. When I say harsh, I mean golfball-sized hail in April. It was long and psychologically damaging. The summer is wonderful in Buffalo; locals would say it's the best time of year. But it's too short. In early August, I celebrated my three year anniversary with my company, and was gifted more vacation days. I decided to take five of them right away so I could enjoy Buffalo at its finest. I titled it my #buffalostaycation2014. Let's go! The Hotel Lafayette is one of my absolute favorite buildings in Buffalo. Designed in the French renaissance style, the seven story building was designed by the first professional American female architect, Louise Blanchard Bethune. It has great terra cotta detail, beautiful woodwork, and murals. The hotel underwent $35 million renovation, completed in 2012, and the result is just spectacular. It's a lovely boutique hotel and to top it off, they have several restaurants and bars. 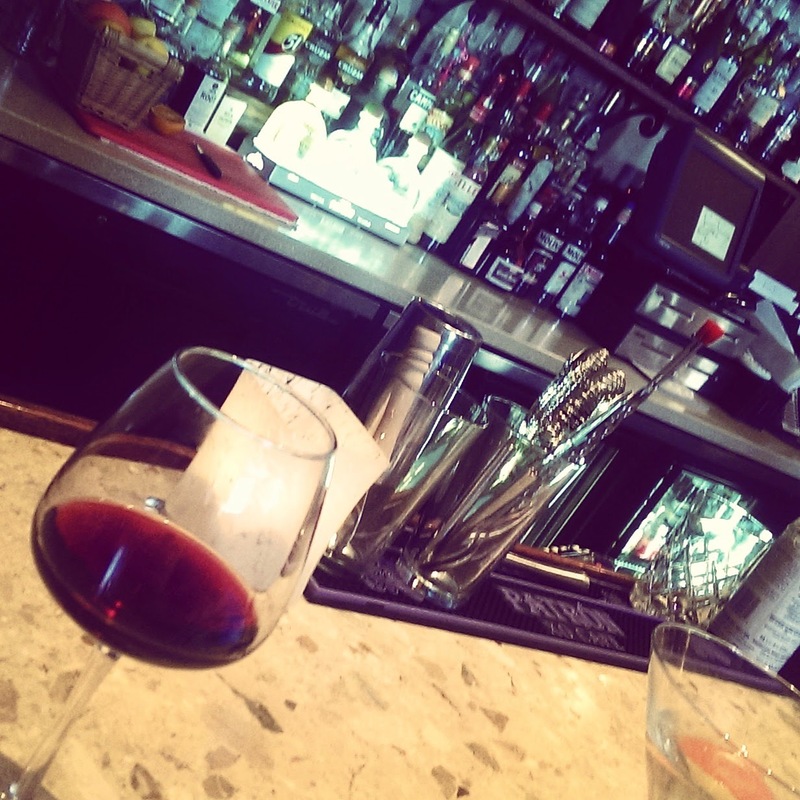 I stopped at Butterwood Sweet & Savory with my friend Meghan to enjoy happy hour cocktails and wine. The bar is a former speakeasy, located in the basement of the hotel and I enjoyed soaking up the vibes of prohibition. I was fortunate to be able to attend Sugar City's grand re-opening at their new location on Niagara Street. They are an art and venue space curated by fantastic local artists. Not only that, but Cages were playing and I have always wanted to see them. They're an experimental two-some. Incredibly haunting and beautiful. Much of their music is improvised and you can feel the unfiltered emotion from this pair. It's almost part band and part art installation. 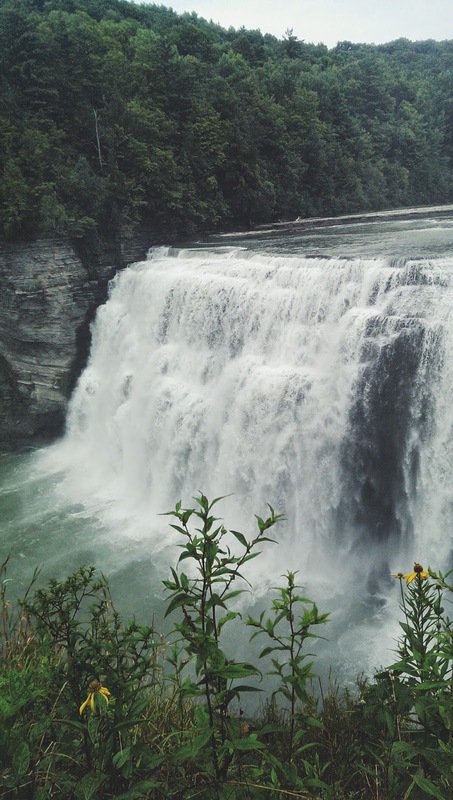 I have wanted to visit Letchworth State Park for years. It's about an hour from Buffalo, so my friend Derek and I drove down on my first full day off. There are three large waterfalls, a massive gorge, and countless other small falls. We hiked a few of the trails that offered unique perspectives and even ran into a fox. Anyone who knows me can contest that I feel a deep affinity for animals and spotting a fox so close to us was an absolute joy. I almost cried after he escaped the trail, to be so close to a wild animal! It was a magical and beautiful day. 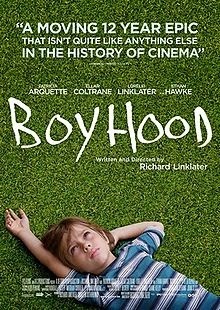 Boyhood was playing at the Dipson Amhert Theater, and it was so cool to see a movie that was filmed over the course of eleven years, as the main character grew from a child into a young adult. Directed by Richard Linklater, the bonds between the characters seemed almost more authentic considering these characters had been in each others' lives for a real period of time, an actual decade. The performances were fantastic and I liked the loose narrative and the seamless way that the characters aged. There was no "age 10" "age 11" et cetera. It focused on defining moments that families experience, and was convincing and real. 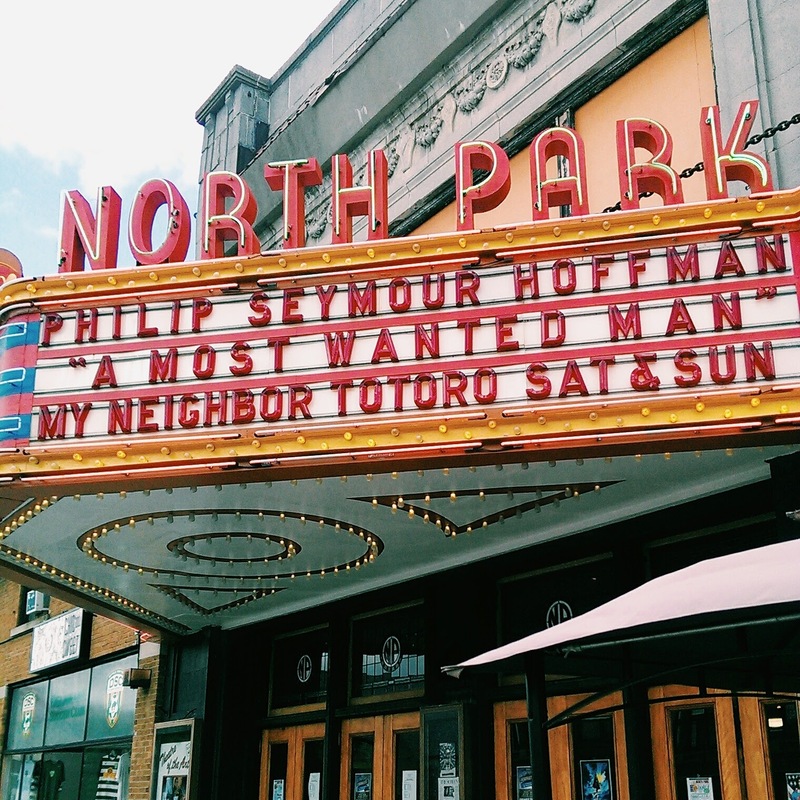 The North Park Theatre on Buffalo's Hertel Avenue had been closed for restoration for eight months, starting in 2013 and recently opened back up to the public. I had seen other films there. They generally play more independent or cult films. The single screen film house was opened in 1920 and I was so happy to see attention taken to the Art Nouveau ceiling mural dome. The theatre boasts a Flexflume marquis and neoclassical foyer and auditorium. It's simply stunning. North Park was playing my favorite Miyazaki film, My Neighbor Totoro. It was so lovely to see both old and young people all together in this packed playhouse to view such a whimsical film. I do wish that they had played the subtitled version, and not the dubbed one, but I can understand how they would want to for the children in attendance. 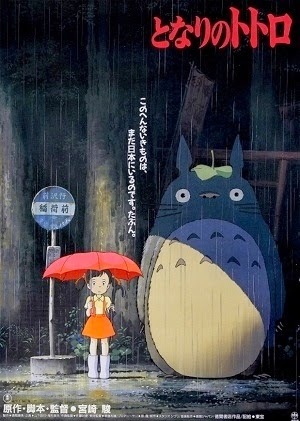 For those who do not know, Totoro is a Japanese animation film starring two young girls whose mother is ill, in the hospital. They move into a new house with their father and discover magical creatures that reside in the countryside. Bennett Beach is one of my favorite beaches in the Buffalo area. About thirty minutes from downtown Buffalo, the drive to Bennett Beach is great because you pass by these beautiful mansions and estates along the way. Frank Lloyd Wright designed Graycliff, owned by Darwin Martin, is along the way, in fact. Bennett Beach has tall sand dunes and perfect light grained sand. 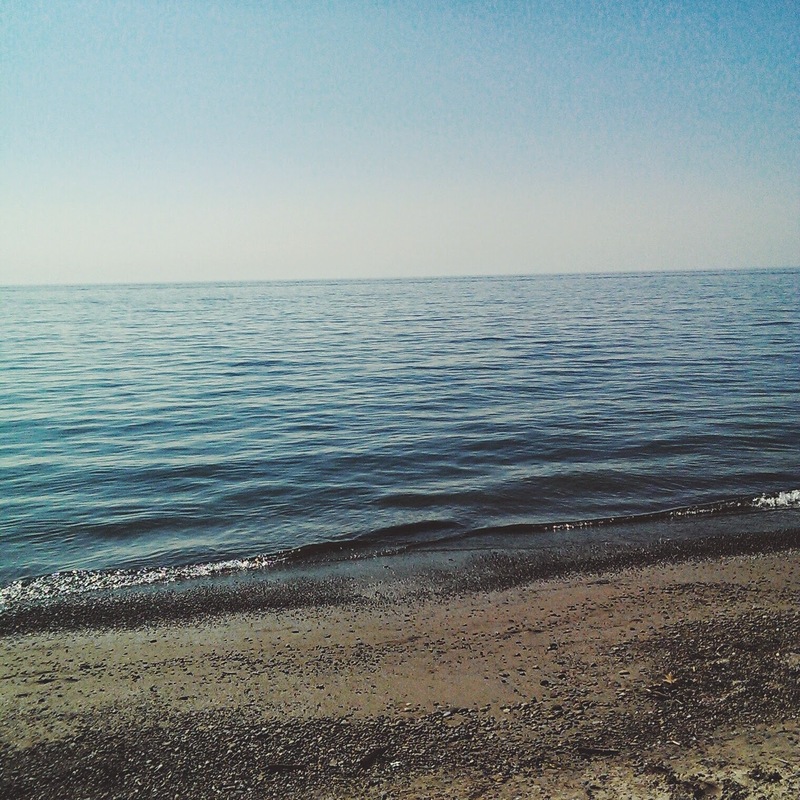 The water is warm in the August sun and the rounded pebbles soon give way to a sandy soil sculpted to the rhythm of the waves. Both days I went to Bennett beach were decidedly during the week. I wanted a quiet and peaceful environment that weekends do not always afford, with families, children, and large groups of beach-goers. Both trips were really successful and very meditative. I practiced being in the moment and really enjoying the sun, the waves, and the fortune I have had in my life to be able to have this time to relax.